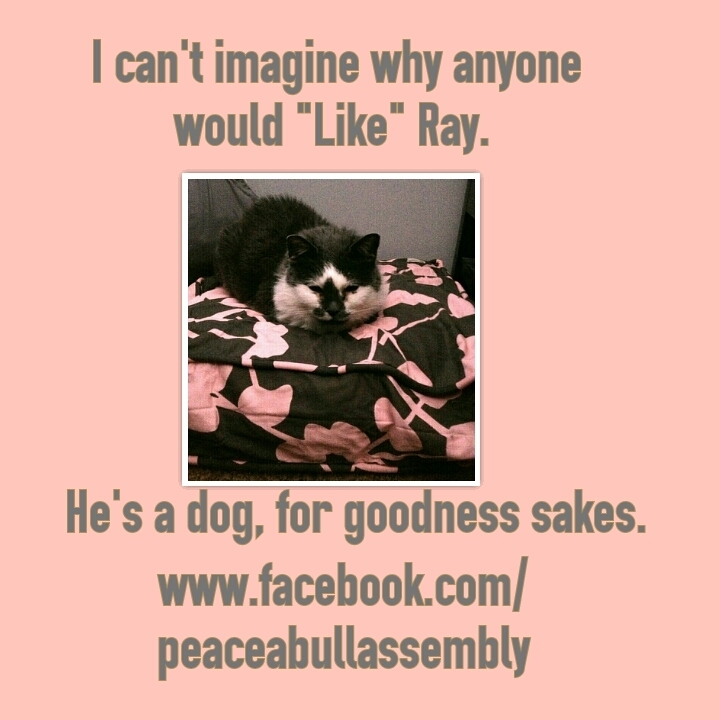 When we adopted Ray as an infant puppy, I had visions of him snuggling with his feline family members a la Cherry Garcia and Walker. I even decided to call the blog Peace-a-bull Assembly because of my belief that all four fur babies would be life- long friends. Ray is down for my plan but the kitties are a bit more standoffish, or so I thought. It turns out that Boo Kitty secretly likes Ray, although she pretends she doesn’t by hissing and looking at him with her “mad face”. Yep, she loves him like a big sister. This entry was posted in Allen County SPCA. Bookmark the permalink.